Forests can undergo changes in various ways. 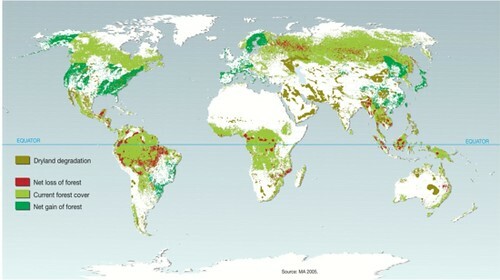 Forest areas can be reduced either by deforestation or by natural disasters, which can result in the forest being unable to naturally regenerate. Conversely, forest areas can be increased – through afforestation or by the natural expansion of forests.